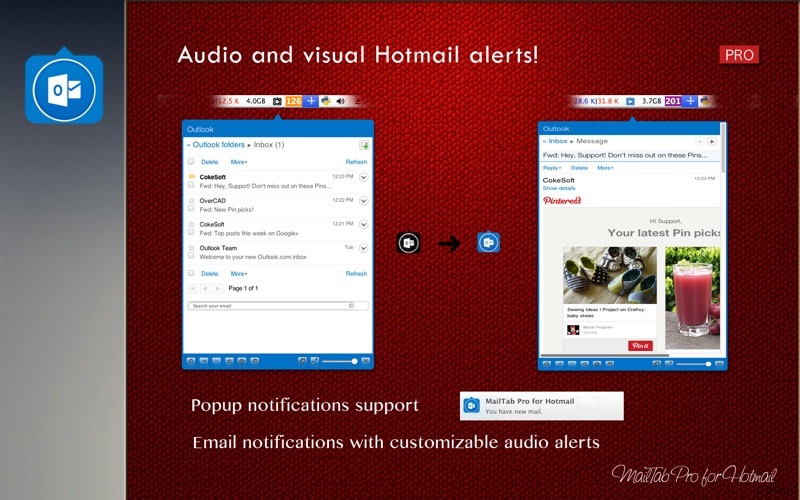 Mailtab Pro for hotmail is new way to access your hotmail. 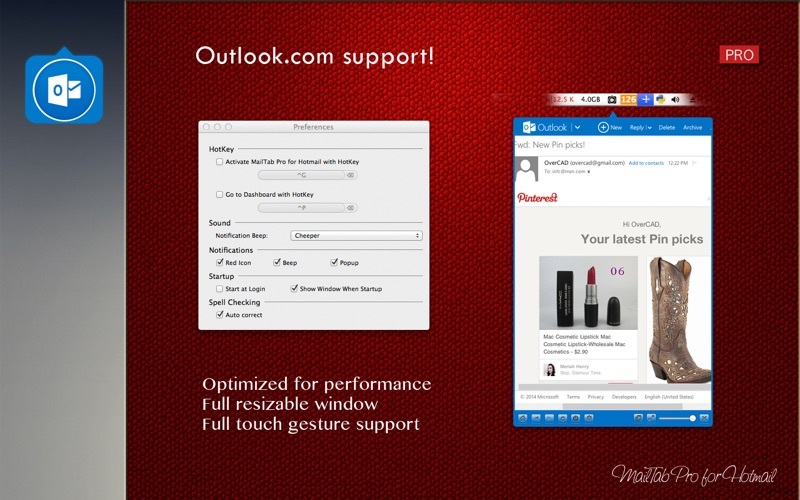 Access your email with "1 click" from your menubar，red mail icon in menubar, Desktop mode with attachments, support Outlook.com, support windows live hotmail,tab notifications, Stealth mode, Full screen support and much more! You can enable a tab notification for every time you receive a new email with information on who the sender is and what the subject of the mail is. 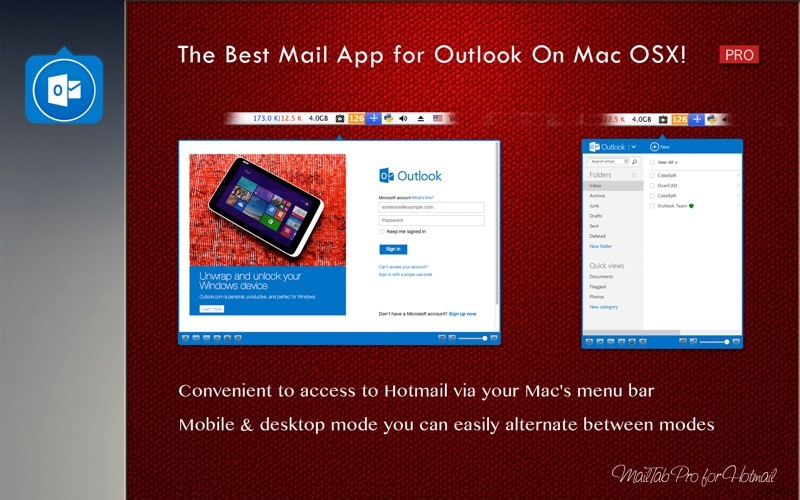 Mailtab Pro for hotmail is a 3rd party application for hotmail and is in no way endorsed or affiliated with Microsoft Inc. hotmail and the hotmail Logo are trademarks of Microsoft Inc. 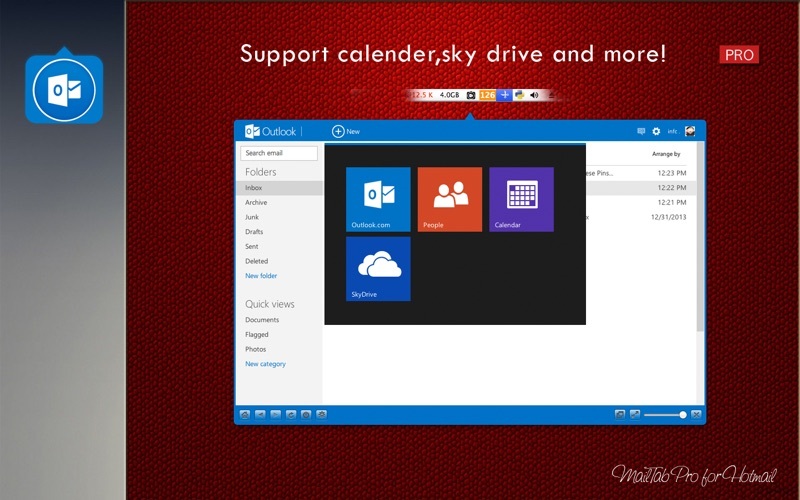 If you have any problem, please email us at cokesoft@hotmail.com We will fix bugs and add features for you as soon as possible.